Germany is the largest producer of lignite, contributing to about one third of world lignite production. 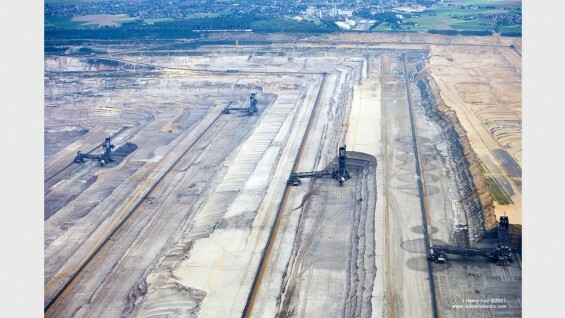 In 2008 about 91% of all lignite produced in Germany was used for generating electricity. This, however, accounted for only 11.1% of the country’s total energy consumption. While Germany was a leading exporter of industrial goods and services, it was dependent on other imported fossil fuels for its primary energy consumption. In 1997 the European Union passed the Directive on Electricity Production from Renewable Energy Sources that targeted 12 % of total energy consumption from renewable sources. Germany surpassed this target in 1997 with 14%. Prior to enacting these measures, waste production from brown coal extraction steadily increased from 2 m3/ton lignite in 1950 to 5.5 m3/ton lignite in 2005. The share of electricity produced from renewable sources in Germany increased from 6.3% to 16.1% between 2000 and 2009, 7% of it generated by wind power.